Perhaps someday my daughter will forgive me for dressing her for every holiday, but I always got great pictures! 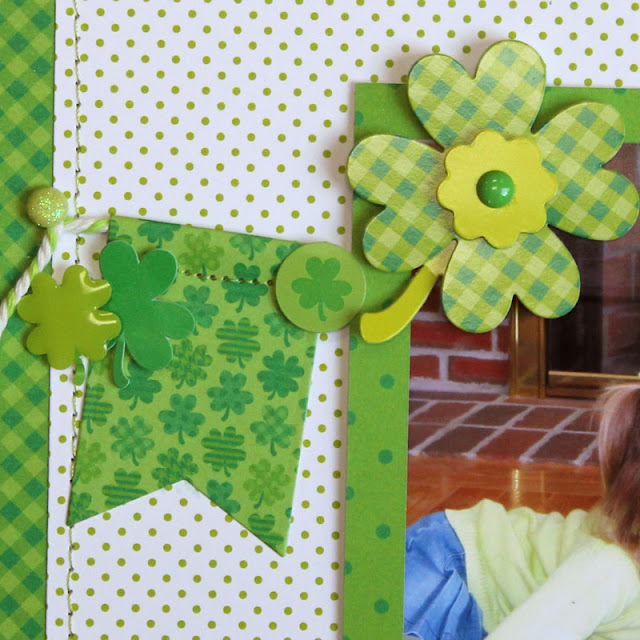 For my background, I used the Shamrock Gingham paper along with the Citrus Swiss Dot Petite Print papers. 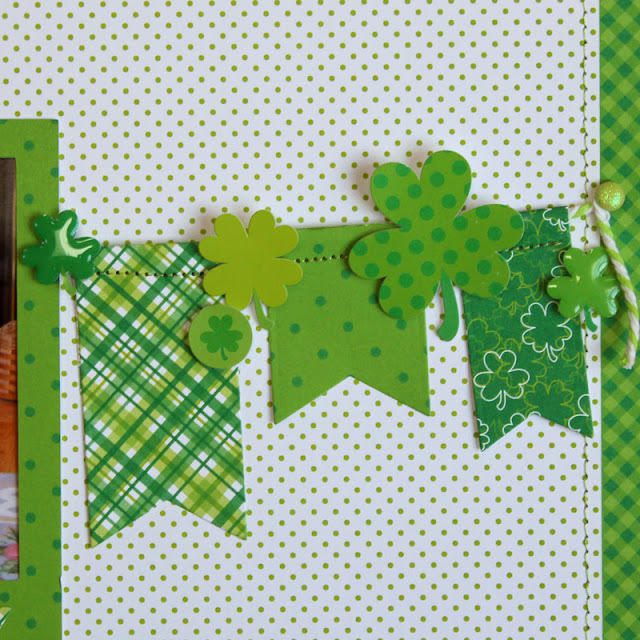 My banner is made up of a few different papers from the Pot O' Gold collection, the Good Luck Doodle-Pop, some stickers from the Icons Sticker Sheet and some Shamrock Shape Sprinkles. I finished it up with some Limeade Chunky Twine. My title was made by combining some Limeade Chippers and some Limeade Teensy Type letters. 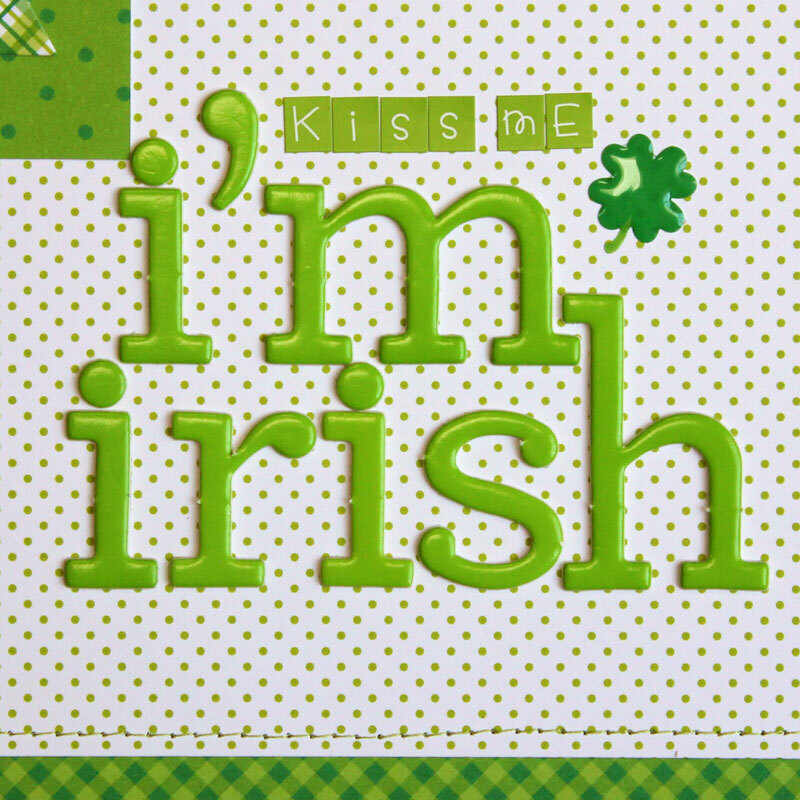 That's it for me today, be sure to come back for more Pot O'Gold inspiration! Thanks for stopping by to peek! Such an adorable page!! The banner is so cute! Such a fun page Kathy! I need to take some machine stitching lessons from you - you always do such a good job with it!!! This page is so fun, and the design is just perfect! Fabulous LO! I especially love the banner with all it's fancy details. So much fun! Great page Kathy! Love the banner and what a super cute photo! What a great page! Love the banner!